Jeremy Kitchin Practice M & A Ltd trades as APMA and offers a nationwide service. As one of the leading M & A Brokers, Jeremy has been serving the accounting profession since early 1973 and now has well over 40 years of experience in this specialised field. Employing Jeremy’s many years of experience, Lucinda now runs the business offering a bespoke service over-seeing all aspects of it personally. Between them they have not failed to sell any practice or block of fees within a given vendors’ agreed parameters during the past quarter century bar two! Also, having taught and lectured for over seven years, Lucinda will give lectures throughout the UK, to District Societies or other substantial groups of practitioners, on any of the above subjects. Lucinda Kitchin is Jeremy’s youngest daughter and joined APMA in 2008 where she now works as a consultant and as the Managing Director. She has an Honours degree in International Business with French and Spanish from De Montfort University, which included a year spent at the famous Tobacco Factory at La Universidad de Sevilla, Spain. Lucinda spent seven years teaching English to adults in the UK, Spain, France, South Korea and Thailand where she developed proficiency in several languages. In Thailand she lectured on the International Business Administration degree programme at Prince of Songkhla University where she was retained to instruct the President of the University as well as the respective Faculty Heads. She also taught at Thaksin University as well as at Nottingham Trent University and Nottingham’s Castle College‚ here in the UK. Prior to holding a number of other professional appointments she travelled extensively around the world and is sometimes engaged to deliver talks centered around these many experiences. Jeremy started his career as an electrical and electronics engineer in the RAF where he also taught adults for nearly eight years. Since leaving to get married in the early ’70s, he has gone on to build an impressive reputation in business. 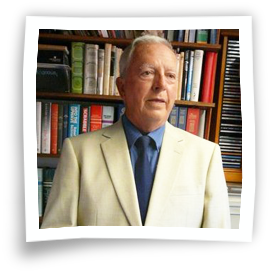 He set up and run several of his own successful companies, which include Accountancy Recruitment – with offices in Nottingham, Leicester, Derby, Sheffield and Bristol – and of course Accountancy Practice Mergers and Acquisitions for well over 40 years now. He is often called upon to share his extensive experience in practice brokering by lecturing to the accountancy profession on valuing goodwill, advising on exit route planning, practice development through marketing, etc. Of late he has often been asked to assist insolvency practitioners in crystallising the goodwill of insolvent practices and solicitors handling partnership divorces (both business and domestic!). Accounting Web the online professional journal, recently published his work, a series of four articles on ‚succession planning‚ entitled The Art of the Exit. Jeremy’s part in creating Vantis Plc, the leading accountancy practice Consolidator‚ which floated on AIM on May 1, 2002, was much publicised.